Their plight is extreme, but echoes concerns across Europe with weeks of soaring temperatures and little rain. Two people take a walk near the water`s edge, where the water level has dropped significantly during the UK heatwave, of Torside Reservoir in Longdendale, Derbyshire, Britain, on 3 July 2018. Photo: ReutersIn Germany, which suffered a drought in May and June, agricultural producers warned the harvest this year will be down by between 20 and 50 per cent. A wildfire earlier this month in the eastern state of Saxe-Anhalt had destroyed 80 hectares (198 acres) of forest. In Britain, a wildfire on Saddleworth moor in northwest England, believed to have been started by arson, raged for three weeks before it was put out on Thursday. 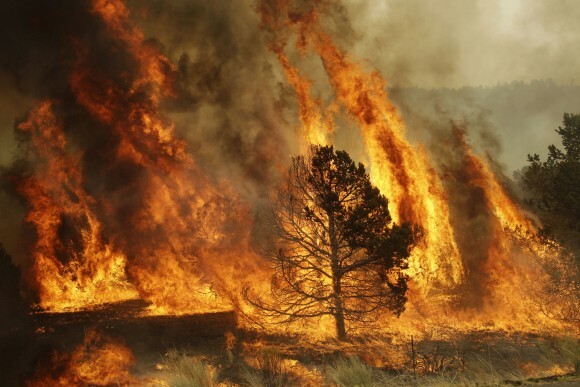 With just 47 millimetres (1.8 inches) of rain recorded in Britain between 1 June and 16 July, fire chiefs have warned that parks and other grasslands are like a "tinderbox". Paris bus driver Abdelkader poses in a bus wearing a bermuda, the new RATP uniform allowed during heat waves in the French capital, in Paris, France, on 4 July 2018. Photo: ReutersLast weekend saw an area the size of 100 football pitches burn near Epping Forest, east of London. "I never thought I'd say this, but we are praying for rain," said the British capital's fire chief Dany Cotton. A ban on hosepipes and sprinklers is being introduced in northwest England on 5 August, prompting advice for people to water their gardens with bath water. Meanwhile, doctors warned of an increase in hospital attendance and admissions due to dehydration and sunburn, particularly among elderly patients. Elsewhere, Portugal's interior ministry said it would be sending two amphibious fire-fighting planes to Sweden, battling the heatwave and a drought which have combined to spark a number of wildfires in southern regions. France, Italy, Poland and Norway have also responded to Swedish appeals for help. The boot was on the other foot last year when Portugal had to call on its neighbours to help contain a series of deadly forest blazes which left 112 people dead.